France is home to Europe’s biggest Jewish population, comprised of 500,000 individuals whose synagogues have been attacked in response to political tensions between Israelis and Palestinians. In March, thousands of Parisians marched to condemn anti-Semitism, prompted by the recent, brutal killings of a 67-year-old Jewish woman and an 85-year-old Holocaust survivor. 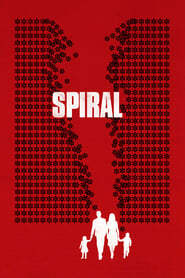 Much of “Spiral” focuses on France’s young Jewish community, burdened by increasing intolerance.